As we end the first month of 2016, a person should take a moment for introspection. Everyone should take time to reflect on how to improve your life by living better and being happier. I don’t have any suggestions on how to make you happier but here are three suggestions on how you can make your financial life better this year … and more prosperous. Write all your expenditures down. Get a small notepad and carry it everywhere. I know it is a pain. But here is why it is important. We are all “penny blind”. What does that mean? It means that we believe everything we buy is a necessity but we are blind to whether we are spending appropriately. This exercise is not to help you determine whether you are overspending on items, it is to give you a global view of where your money is going. A daily trip to the grocery store can spend $50 dollars or more a week than if you had prepared, organized, and “coupon up”. We lose track about how many snacks we have bought a month, how many lattes, how many fast food stops. If you make writing down every dollar you spend a habit you will find out in a very short period where your money is going. For most people this is a very enlightening exercise. You don’t generally need to do it more than 30 days to understand how much you spend on discretionary purchases. We all tell ourselves that the trip to the grocery store is mandatory. You have to eat after all. But is everything we purchase in that grocery store really necessary. You will be surprised at what you see. This seems obvious. Often you have no choice in an emergency situation. However, it may not be the year for a new car or new couch. If you are in debt focus on getting out of it before you go deeper. The idea of taking on debt has become so commonplace that most of the TV commercials in some manner revolver around taking debt, credit card commercials, new car commercials, furniture store commercials, and so on. Our economy is built on consumerism. Resist being a consumer this year. No new debt means more money in your pocket. Let’s face it. If you don’t do anything different you probably won’t have an extra penny in your pocket by the end of the year. 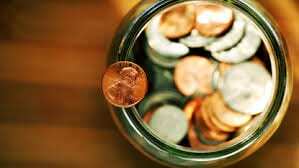 Open a savings account is a new bank that is inconvenient to visit. Don’t request a debit card so it is difficult to access the account. Set up an automatic payment from your check or primary bank account to coincide with your paydays. An amount as small as $25 a pay-period will start a small emergency fund of $650. You can do the math on what you will have if you put aside more. These small changes are not going to make you a millionaire but they will improve your financial situation. Any improvement is going to make your financial life better. Will it get you out of debt? Probably not. You need to consider whether your “debt hole” is too deep to dig out of within a reasonable amount of time at an affordable monthly rate. If your credit is too damaged, the monthly cost too high, or the timeline to pay off the debt too long, you may want to give us a call. Either way we wish you a prosperous 2016.